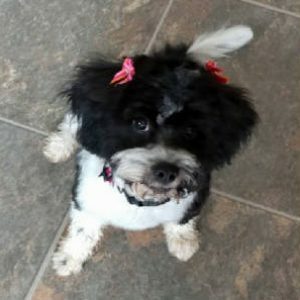 Just a brief note and a photo of Pippa after her first grooming. Pippa is wonderful and very smart. She knows her name, the sit command, she gives paw when requested and if it is time for a meal she will bark at the counter where her bowl is! She loves belly rubs, fetching her toys and walks. We love her!